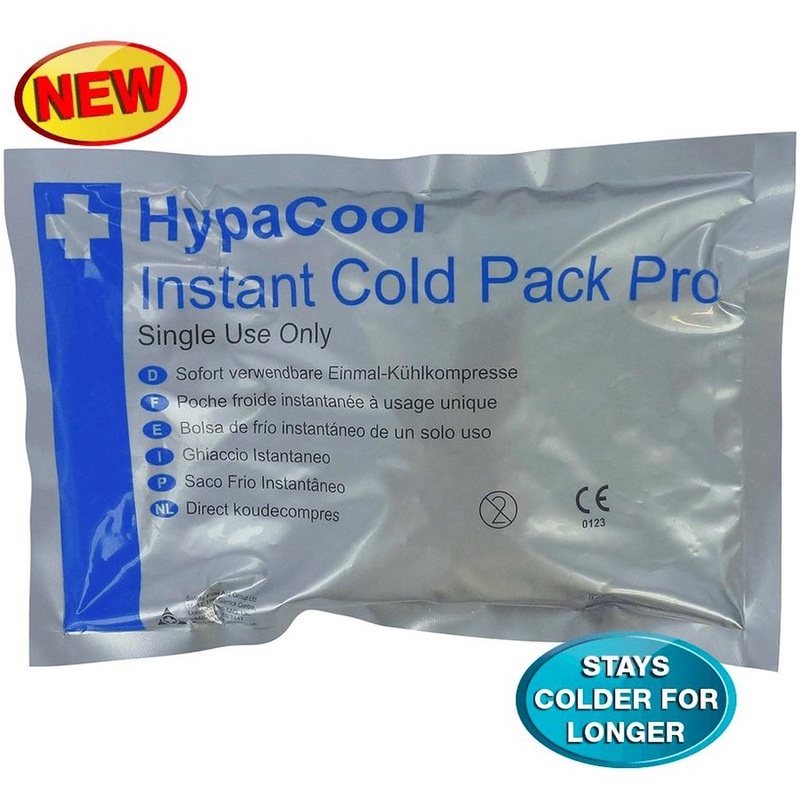 The HypaCool Instant Cold Pack provides instant cold therapy without the need for any pre-cooling. The ice pack stays colder for longer than the Standard Instant Cold Pack providing longer lasting cold therapy. The cold pack is single use and easily disposable activating instantly when squeezed. The Cold Pack Pro is ideal for use by sports teams on acute injuries, inflammation and swellings. 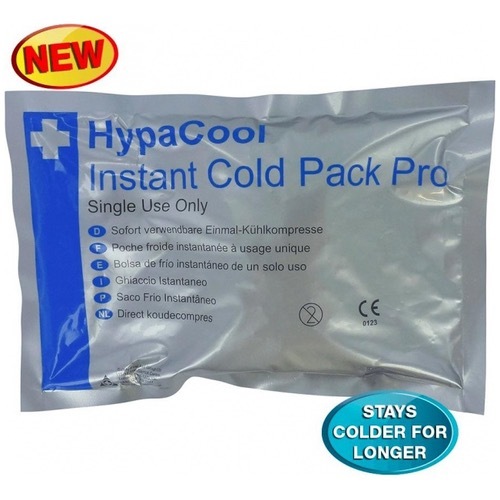 The HypaCool Instant Cold Pack Pro is ideal to keep in your sports first aid kit as can be used for emergency pitch side treatment of injuries.